Contains highly concentrated capsule made from 50% of milk protein extracts, vitamin. 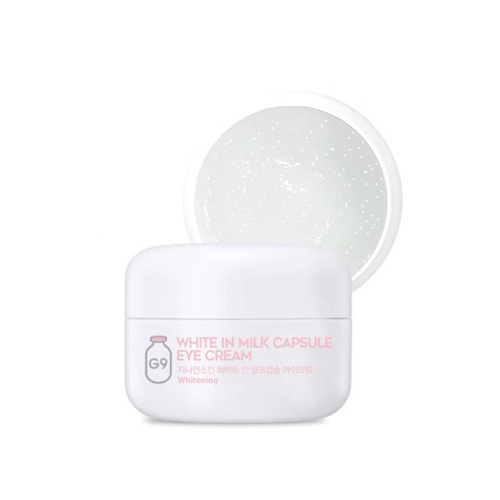 and nourishing ingredients to provide vitality and elasticity to your eyes! Contains niacinamide with whitening effects and broccoli extracts, glutathione with brightening effects. to solve serious dark circle problems. Take an appropriate amount of eye cream around your eye after using toner.